Latest HPSC Daily Updates check from Haryana Public Service Commission official site hpsc.gov.in or www.hpsconline.in and from here. HPSC Daily Updates regarding Syllabus, Final Results, Recruitment Notifications provided here. 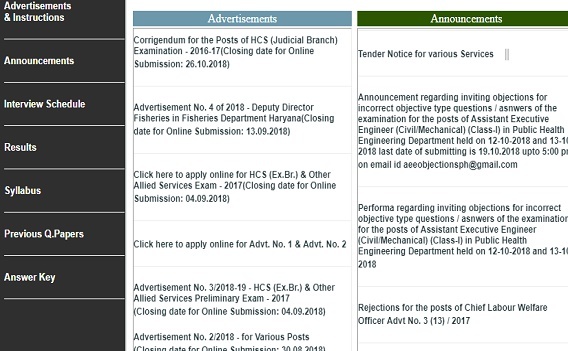 Haryana People are your get fastest HPSC Updates follow up this page every day and check the details Haryana PSC released latest notifications over Previous & Upcoming Jobs, date of examinations and more other.